Editorial Comment: Vesicovaginal fistula (VVF) is a most distressing problem for both the patient and surgeon alike. The most expeditious, safest, and least morbid repair with the greatest likelihood of success should be employed. These authors have previously described this approach for VVF repair and, now, in this article have published on functional outcomes. There is very little in the literature on long-term functional outcomes following VVF repair and therefore this represents an important contribution. 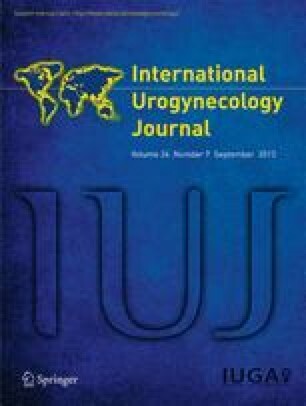 Although the use of anonymous, complete validated questionnaires as an outcome measure would have been ideal, especially as regards urinary and sexual function, these authors report that functional outcomes following vaginal cuff excision repair of VVF are satisfactory. It is important to remember that the vast majority of patients presenting with VVF were healthy, presumably without significant urinary or sexual dysfunction, and underwent an elective surgery which created the problem. This paper suggests that these patients can be restored to a satisfactory level of urinary and sexual function following repair.